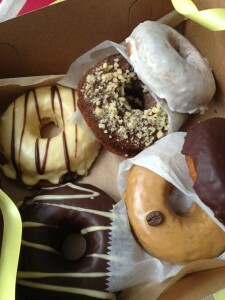 For some reason when I went vegan I became determined to find an amazing vegan donut. Why? I guess, like a child, when there is something I can’t have or have limited access to, I want it more. Ronald’s in Vegas, as many vegans know, is spot on in it’s creation of a classic donut gone vegan: fried, greasy and delicious. Three points against it though: 1. It’s not gluten-free (which I am trying very hard to maintain) 2. They are not even remotely close to healthy (it’s ok to splurge sometimes, but I was looking for something better) and 3. It’s in Vegas, a 4-5 hour drive from where I live. 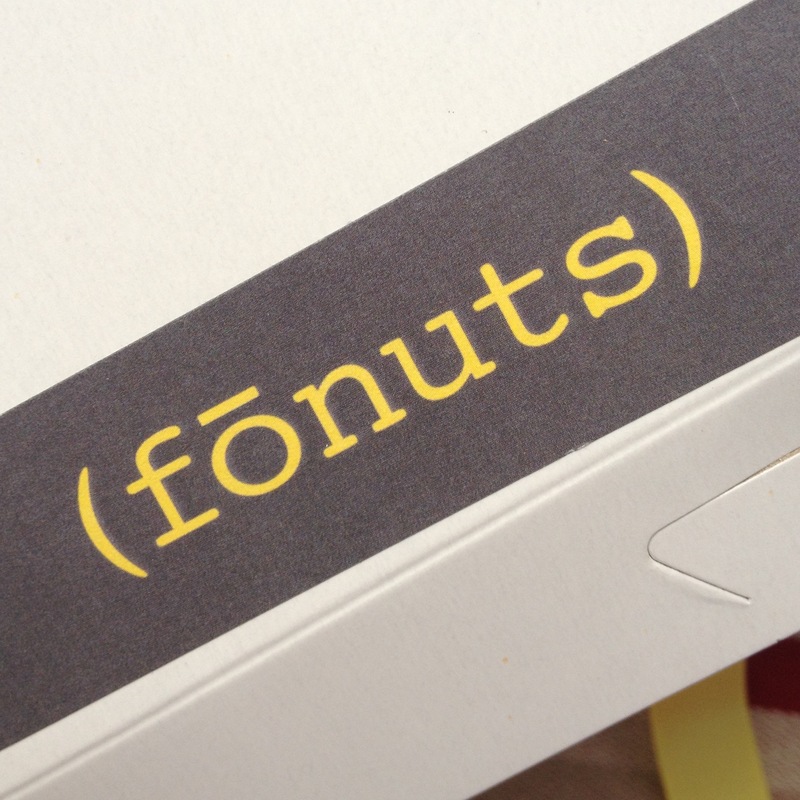 Enter (fōnuts) (cue angels singing and rays of sunshine bursting from behind the building). Frickin vegan AND gluten-free baked donuts in flavors like vanilla latte, coconut passionfruit and peanut butter chocolate??!! Um, yes please. The first time I went I bought one of each flavor (6 total) and had to refrain myself from shoveling them in my mouth hand over fist – they’re THAT good. My absolute favorite is the banana cinnamon, it’s simple yet the taste is so fresh – like something your grandma just pulled out of the oven. These don’t taste like typical donuts (because they aren’t made like typical donuts), but the advantage of that is you don’t feel like a huge pile of useless lard after indulging in a couple. It’s the perfect breakfast (or snack) food to satisfy that sweet tooth craving. 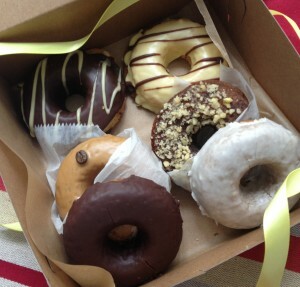 Beyond the amazing concept and taste, every time I have been in the shop the employees have been as sweet as pie. They greet you with a huge smile and hello and just love singing the praises of the shop (a rare quality in an employee these days). The whole experience is refreshing. I will be back again, and again…and again. Thank you (fōnuts) for existing.